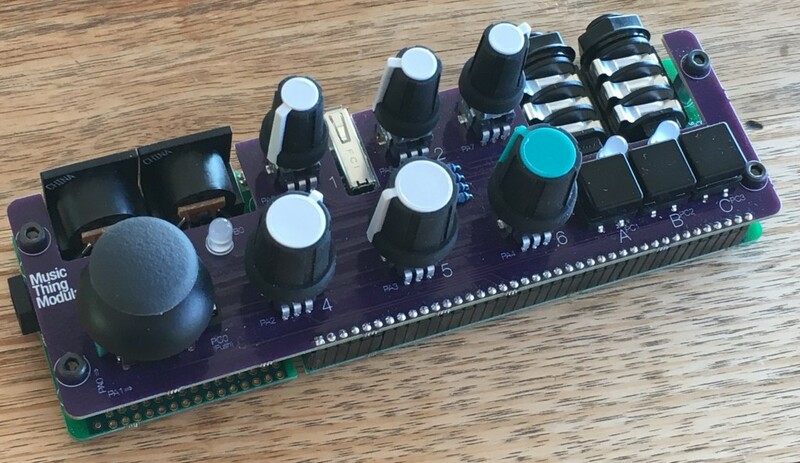 Hot on the heels of our write-up of a board that makes any hardware you can imagine, here’s a mod that takes all that power and fits it in a handheld space with hands-on controls. It’s from Tom Whitwell and Music Thing Modular – the hardware reincarnation of the once-legendary music blog. Basically, it adds controls to the Axoloti – pots, buttons, LEDs, a joystick. The result is something about the size of an old PlayStation controller, but with powerful audio generation and processing capabilities (including audio in and out onboard). Now we just need something like this that doubles as a case. Let’s get on that. It’s open source hardware, so you can have at this yourself. And it makes for a great literal music… thing. Can “thing” become a new category for music gear?